222 pages of documented researched information for Dentistry Health solutions today! “New Solutions to Health Crisis”, shows the influence of the oral cavity on human health. Such commonplace things as high-speed drilling, use of mercury fillings and other toxic restorations, the root canal treatment of teeth, and infected jawbones, all serve as unsuspected causes of much, and perhaps most, of the sicknesses and the ailments in our society. 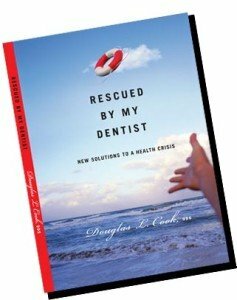 Forty seven case histories contrast the patient symptoms and complaints before dental treatment with the patient’s improved condition after dental care. Each case points to the oral cavity as being a part of the human body that must not be overlooked; the dentist is, or should be, a key player on the healing team. The author describes cutting-edge technology that allows the practitioner to pick compatible dental materials and much more; it helps to find which teeth are causing havoc in the body and to locate the diseased, infected regions in the jawbone. Root canal treated teeth which are often infected and toxic, despite a carefully done root canal treatment, serve as additional causes of common health problems. The author reveals how teeth may be damaged by the heat and suction of high-speed drilling and how switching to low-speed drilling allows dentists to avoid the tooth damage that can be done by drilling. A Tooth-Body Chart shows the organs and body regions that are related to each tooth location, showing the importance of the oral cavity to the health of the whole body. Douglas L. Cook, D.D.S. graduated from Marquette School of Dentistry in 1954. Two years in Germany as a dentist honed his skills working on military service men and women. Returning to his home in Wisconsin he started a practice in 1956. He is a past member of the American Dental Association, Wisconsin Dental Association, Marinette Oconto County Dental Society, Wisconsin Dental Society of Anesthesiology, American Academy of Biological Dentistry, Center for Chinese Medicine, International Academy of Oral Medicine and Toxicology, Holistic Dental Association. He attended three seminars by Dr. Reinhold Voll, MD, on Electro Acupuncture now known as Computerized Electro-dermal Screening. He also has taken continuing education courses relating health problems to the oral cavity which is over looked in health exams. “I have presented over 20 seminars on dental materials and Computerized Electro-dermal screening. I have given 18 seminars in the United States and also in Asia, Mexico, Australia and Canada. 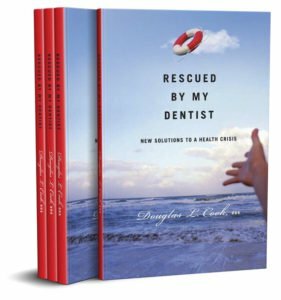 EBOOK – “Rescued by my Dentist” Download to your Desktop!